Bursting on the scene when she was just 18 years old, Riley Clemmons wowed us all with her debut single “Broken Prayers” via Capitol Christian Music Group, and then her self-titled debut album in August. And from these impacting and compelling 12 melodies, there’s absolutely no doubt that Riley has an extremely bright future ahead of her, as she steps into the doors God has opened for her. Relatively new in the CCM industry, I think the first time I, or for that matter anyone, heard her voice on the radio, or internet, or wherever you can hear music these days; was her duet with Social Club Misfits on “Misfit Anthem” early in 2017. Since then, Riley’s music has been a revelation- and you can read my brother’s review of Riley Clemmons here; but now the time has come for brand new music. 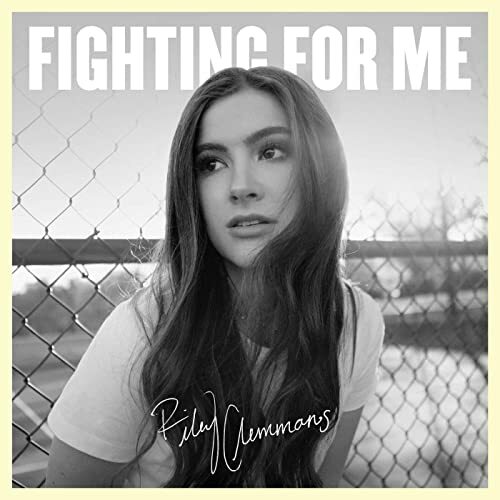 Riley debuted her latest single “Fighting For Me” today, and boy what a follow-up to her debut it is! Led by stirring keys and Riley’s heartfelt, honest, and vulnerable emotion just oozing out of this pop melody; we are treated to probably the most hopeful and inspiring track I’ve heard since “Head Above Water” from Avril Lavigne. As Riley fervently reiterates that Jesus is with her even on the days where she feels far from Him, and especially on the days when she wants to be far from Him; we are delivered a song that is destined to be on radio and for Riley to be recognised across all homes everywhere in the nation and overseas. Uplifting and certain to bring a smile to your face when we hear this gem of a track, “Fighting For Me” encourages, and lets us know that Jesus Christ ‘…will never stop fighting for me, when I can’t fight for myself, every word is a promise You keep, cause You love me like nobody else, You stand up for me in the darkest night, when my faith is weak, You’re still by my side…’.